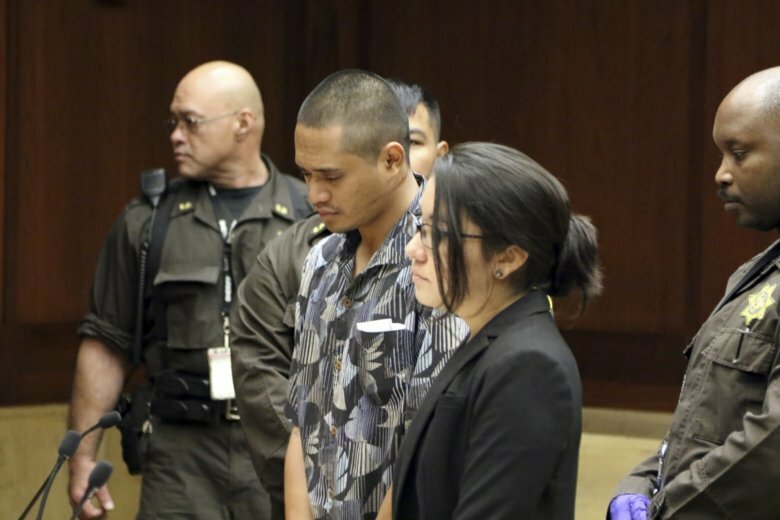 HONOLULU (AP) — A suspected drunken driver police say plowed into a crowded Honolulu intersection and killed three pedestrians is pleading not guilty to manslaughter. Alins Sumang was arraigned in court Tuesday via video from jail, where he’s being held on $1 million bail. Trial is scheduled for April. He’s charged with three counts of manslaughter in the deaths of Casimir Pokorny of Pennsylvania, Reino Ikeda of Japan and William Lau of Honolulu. Police say the truck Sumang was driving last month veered across three lanes, climbed a traffic island, hit six pedestrians, and then crashed into another truck. Three people, including the driver of the second truck, were hospitalized, and one was treated and released. Honolulu Police Chief Susan Ballard calls it one of Honolulu’s worst crashes.